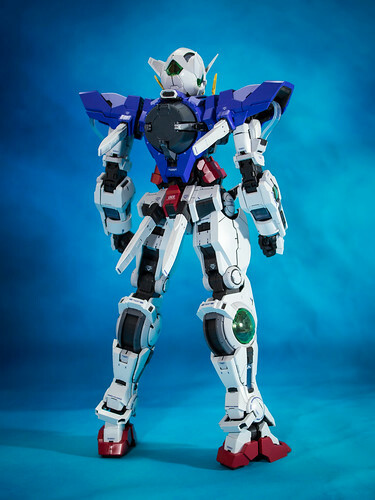 Finally, the moment we’ve been waiting for, to release the GN Particles within Gundam Exia! 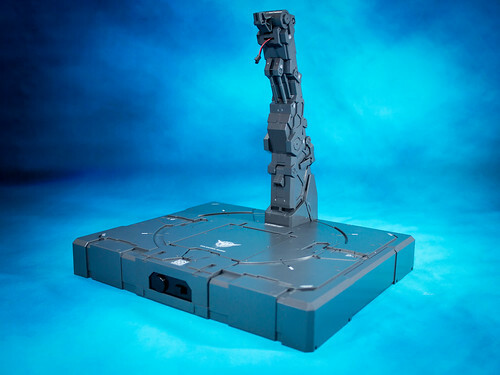 As mentioned in earlier posts, instead of directly purchasing the Lighting Model which costs an arm and a leg (Literally Exia’s arm and leg, as it costs about one-third more of Exia basic kit’s pricing… :3c), I opted to get the regular release of the plastic model kit. While not as eye-catching as in the dark, activating the light-up gimmick in a bright area still manages to produce enough illumination as the L.E.D. themselves are quite powerful. 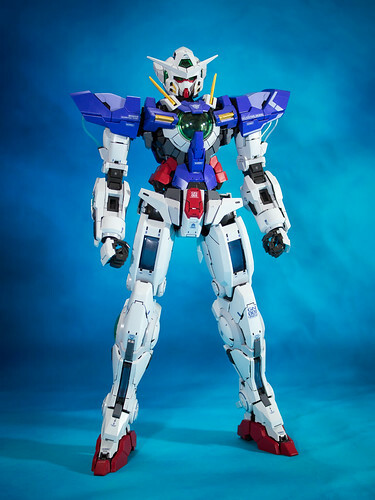 Aside from the main Mobile Suit itself, Exia comes with a number of weaponry and accessories, including a huge display stand similar to that of Unicorn Gundam’s but fully clad in a much more complex design of various mechanical details. 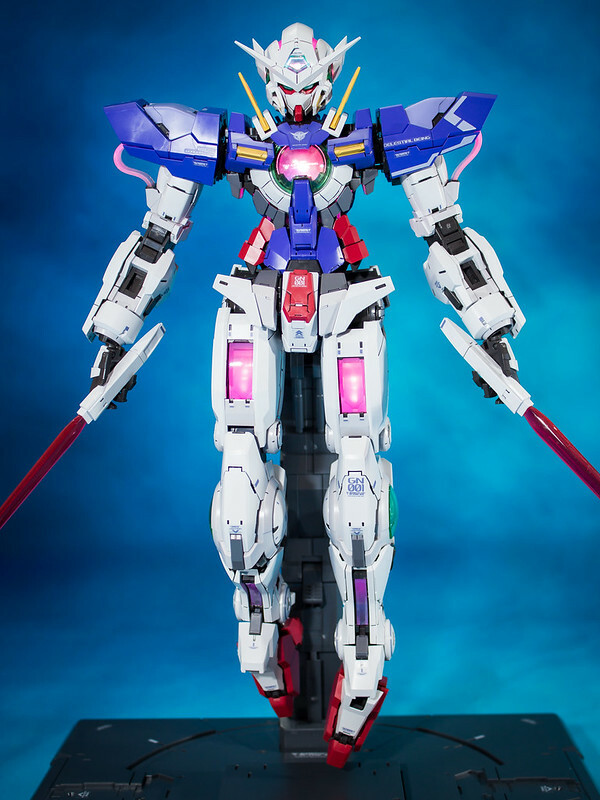 This display stand is probably the most important accessory for Exia, as it houses the L.E.D. unit and wiring needed to fully realise the light-up gimmick. Releasing in less than a week’s time, Fate/Extella Link is getting more and more info flooding its official website. While I skipped many posts on the game’s mechanics since most of them are the same as its earlier entry, Fate/Extella, I couldn’t being myself to miss out this new element to the game itself: the 4v4 Multiplayer mode. Also shown within the trailer itself are DLC costumes originated from Fate/Grand Order: The summer outfit of Nero and Tamamo. Looking good there, my beloved foxy miko! 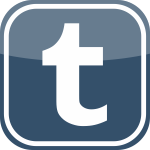 While I won’t get this game on its release date, I’ll do so once the eventual Steam version comes.